Storms occur all the time. It leads to debris blown around, excessive water, and a variety of other issues. 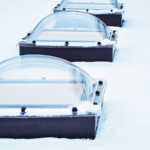 On a flat roof, it’s harder to see any damage caused by a storm. As such, it’s your responsibility as a business owner to call in a professional to have the roof inspected and assessed. You won’t know if there is damage or how extensive it is unless a visual inspection is conducted. It’s not safe for you to do the inspection on your own. Additionally, you’re not a roofing contractor and therefore you won’t know all of what to look for. It’s best for a contractor to do the inspection and provide you with a complete list of the damage caused by the storm. Additionally, if inspections are conducted regularly, it’s easy to see the damage that occurs from storm to storm. The history is saved so there’s no guesswork as to how long some damage has been in place. Depending on the contractor you work with, it’s possible to ask for photographic evidence. This essentially means that the contractor will be your eyes on the roof. They will take a video or snap photos of the various forms of damage. This keeps the contractor honest and allows you to see the extent of damage. It ensures you know what’s going on and will be able to more effective decisions on the repairs that are recommended to you. When is it too soon to call? The sooner you call, the better. There’s no “waiting period” that has to take place. Once the storm is over and the wind has subsided, make the call to a professional roofer so they can come out and inspect your commercial roof. The National Storm Damage Center recommends having multiple inspections performed. The benefit of this is identifying all damage from a storm as well as the costs to make repairs. It’s important to work with a professional who has experience with commercial insurance claims, too. This way, if a claim is filed, you get the necessary support. Once the inspection is complete, you should decide what you’re going to do with it. If there is hail damage, blistering, divots, and other issues, some kind of resolution should be established. Otherwise, there will be areas where water will collect each time it rains. 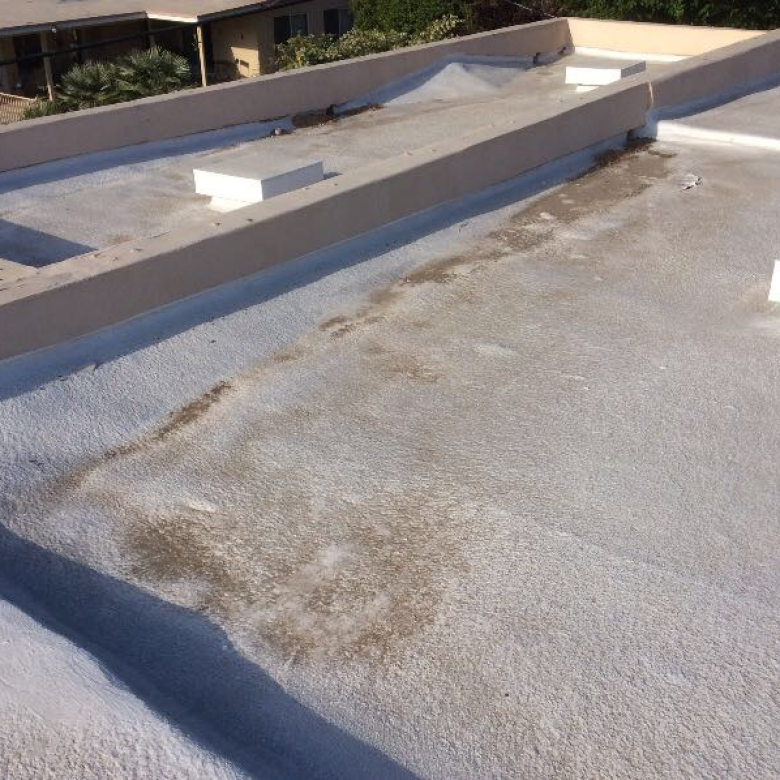 This leads to weakened roofing membranes, leaks, and even roofs caving in on the building. Often, if there is substantial damage from a storm, the professional will assess what happened and make recommendations on what needs to be done. Assuming you have commercial property insurance, you file a claim and let the insurance company handle the repairs. If the inspection comes back that there isn’t substantial damage, you might want to take care of the problems on your own. 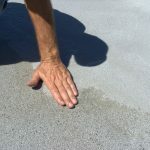 Especially if the damage isn’t much and you don’t want to pay the deductible to file a commercial insurance claim, it might be best to simply coat the roof to smooth out the surface and improve the drainage. This way, you eliminate ponding from future storms. In the end, it’s up to you as to whether you call a professional to come out and assess damage from a storm. An inspection will show you all levels of damage so you are able to make an educated decision about roofing repairs. 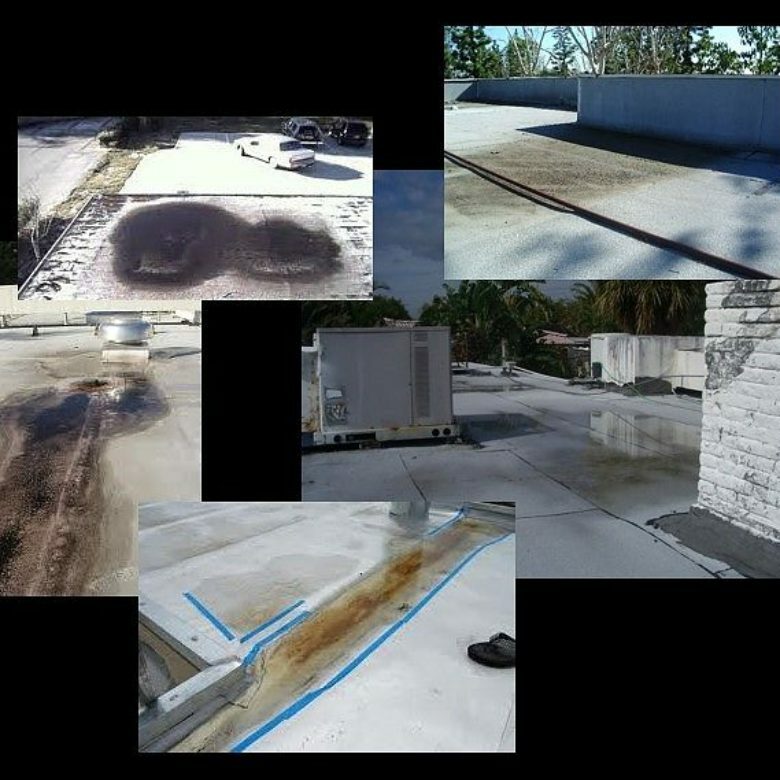 When you want to explore ways to repair roof damage and prevent water ponding, explore RoofSlope for more information.